To provide excellence in all of our programs, instructors are equipped with a tactical training program. This is included but not limited to unique instructing methods, child development, and customer service. We are proud to provide the best arts based education system! Our instructors are held to specific standards that are regularly analyzed and developed. All hired staff are required to submit a resume and go through an interview and trial period before becoming a member of our school’s team. Teacher qualifications needed but not limited to are education and experience in the appropriate subject matter, desire and ability to work with children, demonstrates enthusiasm, patience and flexibility in the classroom, ability to develop creative and age-appropriate lesson plans, ability to accept guidance and supervision, as well as, good character and integrity. All assistants working with your children are held to high expectations. Along with a signed commitment to our school’s expectations, they are carefully nurtured in teaching skills and regularly analyzed by individual instructors. Leta Triebold began dancing at Short Dance Studios at the age of five, training in tap, jazz, lyrical, modern, ballet, and pointe. Growing up participating in many dance competitions and conventions Leta has had the opportunity to work with some well renowned master teachers such as Marius Andahazy, Corrie Rolf-Dunn and Ellen Werksman to name a few. She attended St. Croix Ballet during her senior year of high school where she performed in the classical ballets of The Nutcracker and Coppelia. She received an apprenticeship with Continental Ballet Company during her freshman year of college and became a contracted company member a year later. Leta has been with Continental for many years as a full time company member and has performed professionally in The Nutcracker, Cinderella, Swan Lake, Coppelia, Gisele, and Sleeping Beauty. She currently teaches Ballet at our New Richmond location. Lydia King grew up in the small town of Amery, Wisconsin. She began her dance training with Short Dance Studios at ten years old. As a competitive dancer, she won many national awards and titles. After graduating high school, she studied dance at the University of Wisconsin—Stevens Point. Lydia then moved to New York City after accepting a merit scholarship to attend the Joffrey Ballet School as a Jazz and Contemporary Trainee. At the Joffrey Ballet School, she was immersed in rigorous training from world renown teachers and choreographers. Lydia began her professional career as a member of the New York based company LaneCoArts. She was also one of the original members of the emerging contemporary company XY Dance Project, founded and directed by her mentor, Nijawwon Matthews. Lydia was an assistant teacher with Nijawwon Matthews as he taught at Broadway Dance Center, Steps on Broadway, Peridance Capezio Center, and the Joffrey Ballet School. Lydia has taught master classes at studios, conventions, and competitions in New York, New Jersey, Connecticut, Massachusetts, Minnesota, and Wisconsin. Years of training and performing multiple styles of dance developed her into a versatile dancer and teacher. Her comprehensive background allows her to teach an array of styles as well as fuse the techniques to create unique choreography which has been awarded throughout New England. Now back in the Midwest, Lydia is excited to teach where she first began her dance journey, and share her knowledge and experience with the next generation of Short Dance students. Sydnie Froyd has been apart of the dance world since she was 2 years old. She grew up at Short Dance Studio and danced competitively for 11 years. Since graduating high school Sydnie has taken classes all around the twin cities at companies like Minnesota Ballet, Tu Dance and Zenon. She has won many awards for her dancing and choreography. She has a very strong passion for dance, and fell in love with it the day she started. Not only does she continue to love dancing, but has a true passion for teaching dance. She has been teaching for 8 years now and plans to continue for years to come. Sydnie is a competitive and positive person. She is a kid at heart and a true artist. She loves watching a picture in her mind unfold on the dance floor. Sydnie’s favorite dance styles are ballet, lyrical, and jazz. She is also trained in tap, hip hop and modern. She has taught all ages and levels, and loves to challenge and push her dancers to be the best they can be. 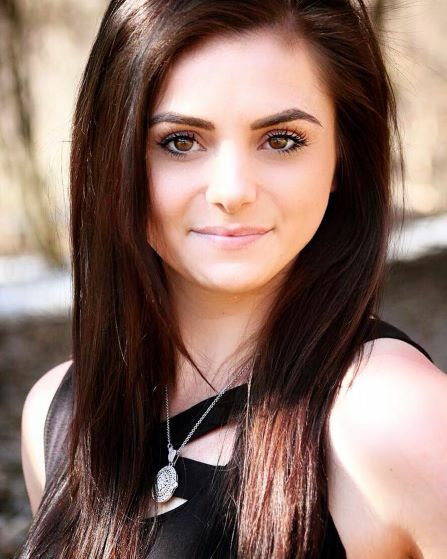 Natalia Bowen has been recognized as a national award winning dancer throughout the nation. Her passion and dedication to the art of dance started at the age of four. Her extensive training started in San Francisco, California and has been all over California and Las Vegas. She has performed in Oakland Ballet’s The Nutcracker, Disneyland, California Adventure and the grand opening of Palms Casino in Las Vegas, Nevada along with many other events around California. She has a dance background of 25 years which includes mastering the art of Ballet, Tap, Hip Hop, Lyrical, Jazz, Cheerleading and acrobatic Arts. She has won numerous top overall awards, trophies and scholarships to New York and Las Vegas. She has also trained in San Francisco at The Circus School for Cirque Du Soleil where she has under gone extensive training in acrobatics and contortion. As being a mother of 3 her love for children has inspired her to share her love for dancing and choreography with the community. Rachel Haines has been teaching Acrobatics at our IGH location for many years. After doing gymnastics for 21 years herself, qualifying to be on the United States National Team twice, being a back-to-back two time United States National Champion, and ending her career competing for the University of Minnesota on their Women’s Gymnastics team, her experience with the sport is immeasurable. She currently holds a Bachelors degree in Child Psychology and Development, and a Masters degree in Family Education, Social Work, and Counseling. She is engaged to her wonderful Fiancé, Jake Short, and together they have two perfect pups, Odin and Ellie. Abbie Dahm danced with Short Dance Studios for 12 years. 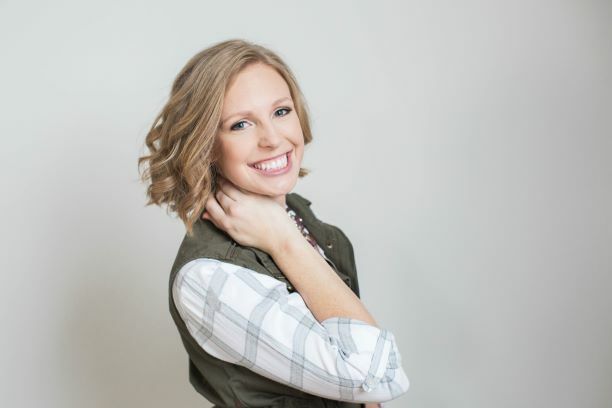 After high school, she continued taking classes and danced in a student company with Zenon in Minneapolis and appeared on “So You Think You Can Dance.” Abbie taught at SDS from 2011-2015 and took a break to start a family. She is very excited to be back sharing one of her passions with our Short Dance Studio dancers! Miss Abbie believes there is much more to the dance room than learning technique. She knows how important it is to learn hard work, respect. self confidence, and determination that can be taken outside of the classroom. 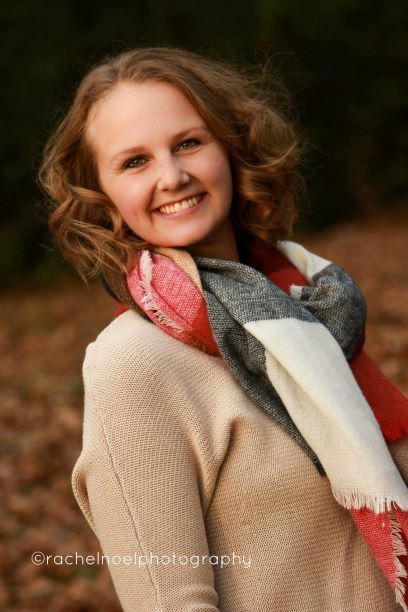 Abbie loves all types of dance but her favorites are contemporary, hip hop, and swing dance. Kailey Buse grew up in Eagan dancing ballet, tap, jazz, and Irish dance at several local studios around the Twin Cities area. Ballet and Competitive Irish Step dancing were two forms she pursued the most. With Irish dance she enjoyed the long distance travel opportunities attending several North American National championships, and the British Nationals overseas. Her love of ballet led her to study Vaganova method on pointe throughout high school at Visitation with Marius Andahazy. She has taught dance to all ages for over 14 years and has had the pleasure of watching former little ones grow into professional and competitive dancers. When she is not at the dance studio, she works in Early Childhood Education since 2008. She currently, works part-time as a substitute teacher at Convent of the Visitation school. Her free time includes playing chauffer and dance mom to her daughters, watching HGTV, and going to see family in Florida. Ali Parfitt began dancing at the age of 2 and competed for 10 years with Short Dance Studios. She continued her dance career at the collegiate level with the University of Minnesota Duluth Dance Team. She spent 2 years on the team and was a captain her junior year. The UMDDT placed 3rd at Nationals in the Open Division in 2017 and placed 5th in 2018. Miss Ali has also had the honor to work for dance competitions such as Just For Kix “Together We Dance” as a judge and for Triple S Dance Competition assisting Master Teachers. She is excited to watch her students grow and develop through the years and hopes to instill the love of dance through teaching! Gabbie Vogel grew up dancing at Short Dance Studios and started competing in 5th grade. From there, her passion for dance grew and she joined her high school dance line while still competing with the studio. During her years on the dance team, she received All-State all 4 years of high school for her solos, placed in All Conference for her duos/trios, and won 1st All-Conference her senior year. 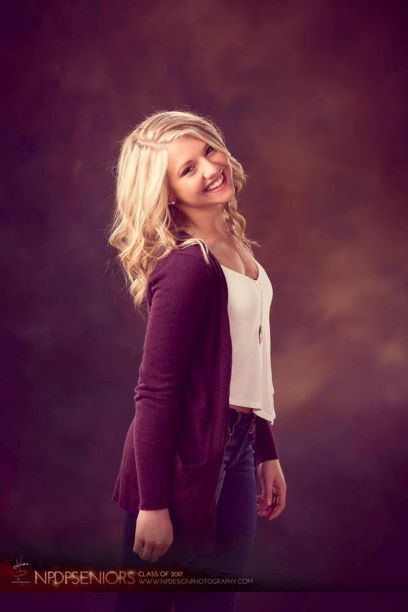 After graduating high school, Gabbie went on to dance for the University of St. Thomas and had the opportunity to dance in the Super Bowl Half Time Show with Justin Timberlake at U.S. Bank Stadium! Unfortunately due to injury, Miss Gabbie had to take a step back from the competing world. She is very excited to be teaching and sharing her passion for dance at Short Dance Studios! Kacie grew up dancing at her aunt’s studio, which is where her passion for dance was rooted. After high school, she went on to dance for the University of North Dakota Dance Team and became a Company member of the North Dakota Ballet Company. She graduated from UND with a Bachelor’s Degree in Communications with an emphasis in Public Relations and a minor in Dance. After graduation, she obtained a full time cubicle job but still found time to teach at several studios around the metro. In July 2018, she accepted a full time position with us here at SDS. 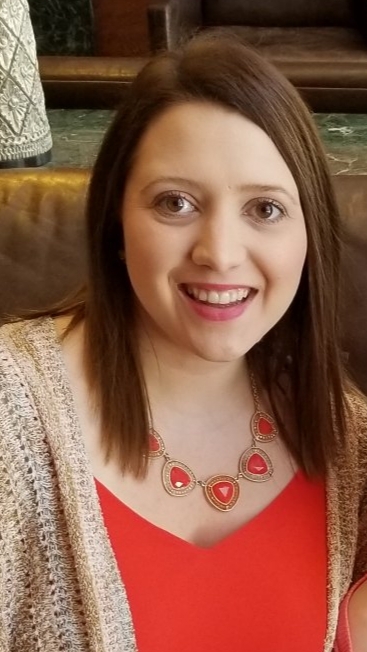 We have the best of both worlds in Kacie- an office manager and a teacher that is extremely knowledgeable in dance and the workings of a studio. She is ecstatic to be working at a place where she can combine her education with her biggest passion! We are thankful that Kacie is a part of our Short Dance family! Jessica is a dancer, choreographer, and passionate teacher. As a competitive and professional dancer she has won many regional and national awards and has attended several conventions all over the U.S.A. for dance and dance education. She received a scholarship to dance at Zenon in Minneapolis, MN while attending UW, River Falls for her degree in dance education. In conjunction with New Beginnings out of New York Jessica enjoyed working with aspiring artists ending with a grand finale performance Off Broadway. She was a featured performer at the Phipps performing arts Center as well as performing in productions of “Anything Goes,” Grease,” “42nd Street” and “The Princess and the Pea” in the Minneapolis area. She has studied with professionals in the industry such as Keith Clifton, Dena Rizzo, Ellen Werksman and Marius Andahazy of the Andahazy Ballet to name a few. As a teacher for over 20 years her dancers and dances have won many local and nationally acclaimed awards for technique and choreography, as well as, gone on to be professional dancers of their own. She also organizes a private convention each year which gives over $2400 in scholarships to students of all ages and ability levels. Jessica continues to teach and loves working with young performers of all ages, as well as, being a busy mom of four. Wade has been dancing since the age of four. He was on the Christmas special “Dance Fever” in 1983 and competed for the show “Star Search” in 1984, all before the age of 11. He has won numerous national titles as a solo dancer and is also a two time state champion wrestler and a Division one full scholarship athlete. He began teaching at the age of 16 for his mother Pat Short who owned two dance studios from 1965-1991. Wade took dance classes at the University of Minnesota from 1991-1994. He also has attended several ballet intensives in New York. He has also taken classes from Keith Clifton, Greg Russell, Marius Andahazy and many others. He has danced in multiple professional dance companies and performed professionally for 10 years in over 75 shows/5 industrials/3 commercials. He has performed at over 50 venues across the United States and taught master classes at 8 universities and at over 20 dance studios across the U.S. He has been teaching now for over 20 years and has received over 75 choreography awards. His routines have won numerous national titles and special awards over that time. He is also a published poet and has had showings and sales of his artwork in New York City. He is also a certified Zumba instructor. 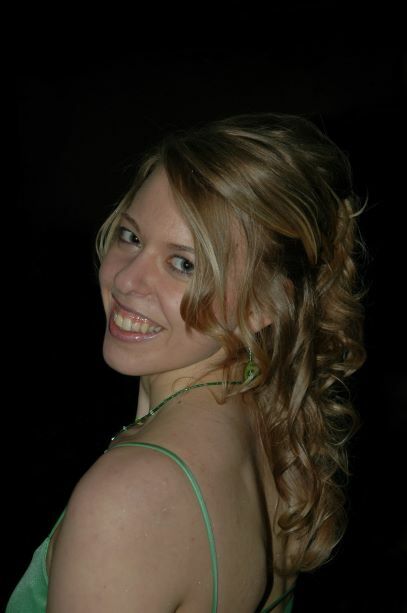 Ms. Olafson studied ballet, jazz, tap, and modern at the University of Wisconsin in Stevens Point. Desiree is an accomplished performer, choreographer, and teacher who has performed all over the United States and Europe. Her choreography has won many awards on the regional and national levels, and has been performed by studios, companies, and Universities throughout the Mid-West. For many years she choreographed the Jr. Mr. Ms. IDC semifinalist production at their national competition. Desiree has trained with the Royal Winnipeg Ballet, Alonzo King Lines Ballet, and Desmond Richardson Complexions Contemporary Ballet. She has performed with various companies and choreographers in Chicago, including Joel Hall Dancers, Inside Chicago Dance, and Elements Contemporary Ballet. She currently resides in Minneapolis where she teaches dance and pilates, and shares her love of ballet with the community. Grew up dancing at Larkin and went on to Juilliard. She has danced with multiple dance companies and choreographers such as Jose Limon, Jerome Robbins and Merce Cunningham. She is still a dancer today. She is invigorated by teaching dance to young students and inspiring the love of dance in everyone. She has judged multiple dance competitions, performed on HBO Simon & Goodman Picture Company’s “Masterclass” Episode 8 (With Bill T. Jones) and been awarded some of the highest awards given to ballet dancers in the U.S.
Alice is an experienced dancer, choreographer, and teacher. She graduated from Luther College where she studied dance, as well as, education. In addition she has studied dance with Hubbard Street Dancers in Chicago Illinois, Gus Giordano, David Parsons, and Ellen Werksman. As a student she won many regional and national awards. Alice has choreographed high school musicals, community theatre, and operettas. With more than 20 years experience teaching dance at various studios in the Chicago area, as well as Minnesota and Wisconsin, Alice continues to enjoy teaching and inspiring dancers of all ages. Short Dance Studios Recital 2019! Recital dates are June 1st-2nd (NR), and June 9th-10th (IGH). Further details regarding this year's recital will be announced soon. Check back in a few weeks regarding ticket sales, locations, and more! Click on the link to view our summer classes. Check out some new classes featuring Princess Camp and Open Combination classes! Now have your birthday party at SDS! Let us set up, take down and clean up for you! Copyright © 2019 Short Dance Studios for the Performing Arts. Powered by WordPress. Theme: Spacious by ThemeGrill.